This blog idea came out because my other blog is about a totally different thing, bicycling in Tanzania. 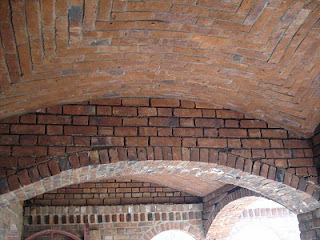 I wanted a place to put up ideas about building with bricks to make roofs and ceilings like this. But I thought that would also become too narrow and I am also interested in other building alternatives to what is the norm. Like cob walls, straw bale houses, rock walls, and so on. The emphasis is on what I am seeing in Tanzania.